Avoid the low-cost throwaways. We'll help you find a quality device with the features you'll need every day. The best tablet these days is one that’s as ready for work as it is for play. That means moving beyond the bargain bin of $50 throwaways to the shelf filled with better-quality tablets and useful accessories. Plan on spending at least a few hundred dollars, but the payoff in productivity—and fun—will be worth it. We can recommend three outstanding tablets. For any other models that catch your eye, we’re also giving you five things to decide before you buy. The Galaxy Tab S2 is another great premium Android tablet from Samsung. Our Greenbot colleagues recommend the $499, 10.1-inch Galaxy Tab S2. It offers solid performance, a stunning display, and comes in two very thin, very comfortable-to-hold sizes. Our Macworld colleagues recommend the $499 iPad Air 2. It improves upon the original iPad Air in little ways—a little thinner and lighter, a little faster—and the camera is good enough that you might actually use it. 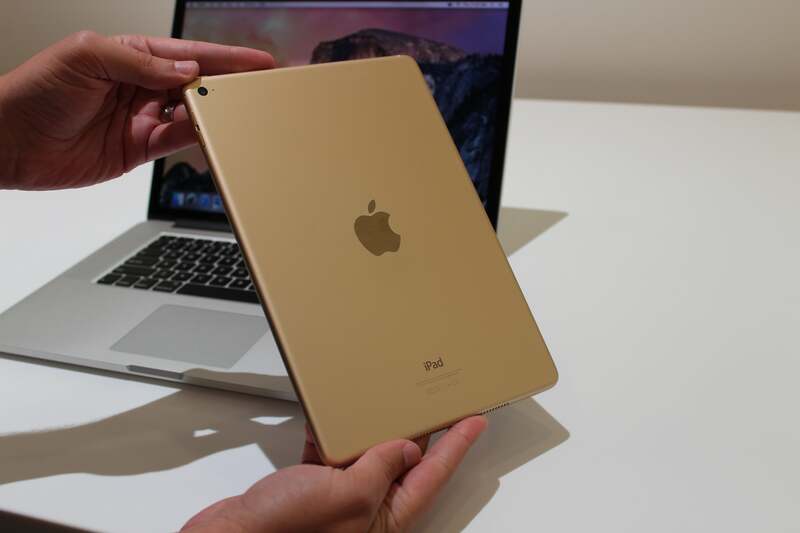 The Apple iPad Air 2 is a better deal for most people than the iPad Pro. We’re not recommending the Apple iPad Pro. It’s a nice tablet, but overkill—unless you’re buying a gift for a graphics professional. The Surface Pro 3 is still a very good tablet, and it’s cheaper than the Surface Pro 4. Ha—you thought we were going to say Surface Pro 4, right? Well, that’s a very, very nice tablet, but you can spend $699 to $899 to buy an older Surface Pro 3 that’s still a very good tablet but a tad cheaper than its shiny new replacement. Beyond these three top picks, many other good tablets are available now. Thanks to advances in CPUs and other technologies, you’ll find fewer compromises on performance, battery life, and other features than in prior years—especially if you steer clear of the lower-end models. Deciding whether to buy an Android, iOS, or Windows tablet may hinge on your computer platform, but also on your apps. For instance, Microsoft apps like OneNote and Office are accessible on all three tablet operatings systems, so you can’t go wrong there. 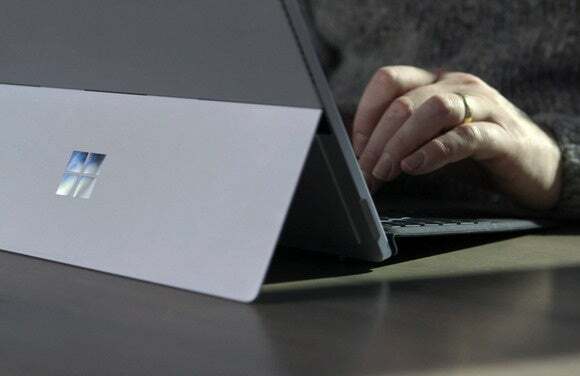 Windows users can’t go wrong with a Surface tablet, whose kickstand and keyboard make it “the tablet that can replace your laptop”. 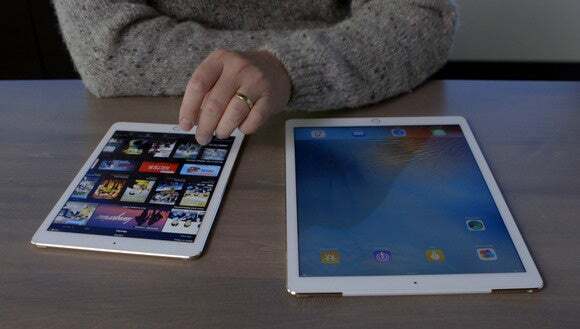 For Mac users, of course, your safest pick is an iPad, as directly sharing files with Android or Windows 10 tablets can be more challenging. Mixing platforms, the simplest way is to use cloud storage like Box, Google Drive, or OneDrive as an intermediary: Upload files from one device, and then download them from another. If you already own a PC, you have a few decisions to make: The Android hardware universe will give you more tablet options to choose from, but Android’s native productivity apps aren’t quite as useful as either iOS or Windows apps. A Windows tablet offers the most graceful option for diehard PC users. You can buy one of Microsoft’s own Surface tablets, and it will immediately drop you into the Windows universe you’re already familiar with. No one asks for less battery life. You’re going to want a tablet that won’t run out of juice in an hour or two. Newer tablets tend to last longer, in part because the components they use tend to be more power-optimized than their predecessors. In recent video rundown tests, Apple’s iPad Air 2 ran for 10 hours, 14 minutes; Microsoft’s Surface Pro 4 lasted 8 hours; and Google’s Nexus 9 Android tablet pushed past 11 hours. Note that the Surface Pro 4 requires a PC-style charger that must be plugged into the wall. A Micro-USB port powers the smaller Surface Pro 3 and virtually all Android phones, allowing them to be charged by most portable battery chargers while on the go. Ditto for the iPad, although it uses a Lightning connector. The whole point of buying a tablet is to avoid lugging around a heavy laptop. This part is easy: Most tablets weigh just about a pound or two. But a productivity tablet should be equally at home on the desk as well as on a couch. Either an iPad or the mammoth iPad Pro are good choices for Mac users. A tablet with a largish screen, about 9 to 11 inches in diagonal width, will work best for most people. Also look for one that’s easy on the eyes. If you can see the individual pixels, forget it—you’ll end up with a headache from prolonged use. While it’s great to buy a tablet that you can stare at for long periods of time, let’s face it: You can do more if you connect it to a larger display, or even more than one. The simplest solution is to buy an adapter connecting the tablet to the common HDMI interface used by most monitors and TVs. 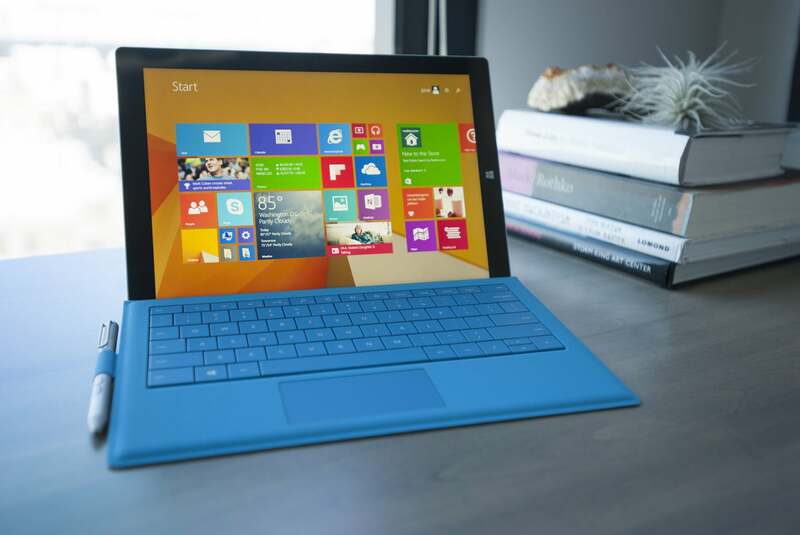 The best here is Microsoft’s Surface tablet family. While an iPad or Android tablet mirrors what’s shown on the tablet onto the larger display, the Surface actually extends your desktop. That means you’ll end up with two functional displays. Plan on spending about $40 for a miniDisplayPort-to-HDMI adapter used by the Surface family, or, if you’re feeling ambitious, a whopping $200 for the Surface Dock, which allows multiple monitors and also has some handy USB ports. Among Android tablets, look for one that includes Mobile High Definition Link (MHL) support, which lets it connect to a monitor via an adapter that costs about $10. This can be trickier than it should be: MHL supports both 5-pin and 11-pin connectors, and most manufacturers don’t do a good job telling you whether the tablet actually supports MHL, let alone which connector it uses. Android tablets without MHL can also take advantage of the screen-sharing capabilities built into Google’s $35 Chromecast, which plugs right into a display’s HDMI connector. If you’re buying an iPad, Apple makes it very simple: use the $39 Apple Digital AV Adapter to mirror whatever’s on the iPad’s screen to an HDMI display. Here’s one display disappointment: Aside from the Surface and its “kickstand,” most tablets don’t offer a simple way to prop the tablet up on its edge—a real shame! You may have noticed a trend here: It’s the peripherals that can really make a tablet productive. The same goes for the keyboard. Yes, you could type on the tablet’s glass screen itself via an onscreen keyboard, but you’d sacrifice screen real estate, and toggling among keyboard views is a pain. Keep in mind that you’ll need to prop the tablet up somehow. Some cases are designed to do just that. Instead, consider buying a quality Bluetooth keyboard to accompany the tablet—either a standalone model, or one designed to pair specifically with the tablet in question. This is a situation where trying the keyboard for comfort is important, as well as Bluetooth compatibility with your device. 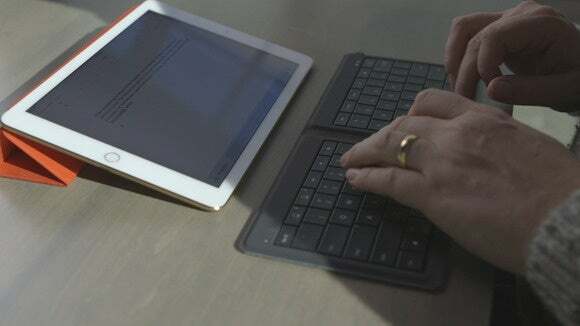 Apple now sells its own Smart Keyboard, but many other iPad keyboards are available. For Android tablet, we found five we liked in a roundup of Bluetooth keyboards. We also like the $80 Microsoft Universal Mobile Keyboard. There’s one exception: If you buy a Microsoft Surface tablet, buy the Type Cover that goes along with it. They’re quite expensive, about $130 or so. 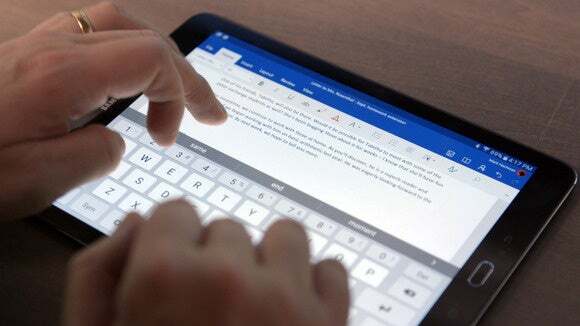 But they’re very well made, protecting the Surface’s glass as well as providing a stable typing platform.